Armand and Donald Feigenbaum have a long history of giving back through charitable donations. In 1988, they decided to formalize and perpetuate the charitable giving program that they followed in their earlier life. To that end they formed the Feigenbaum Foundation. When it first started, the foundation took over some of the charitable gifting projects that Armand and Donald had been funding personally. Since that time the role of the foundation has increased in importance and scope. 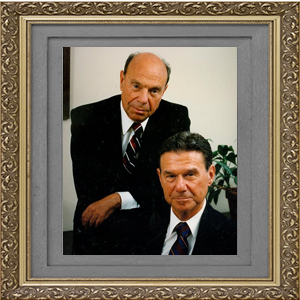 The founders, brothers Armand and Donald Feigenbaum, had a deep respect and love for the Berkshires. In keeping with that idea, organizations located in or providing primary benefits to the Berkshires are the Foundation’s preferred grant recipients. The purpose of the Feigenbaum Foundation is to focus its financial assistance primarily on pursuits related to, effecting or associated with education in technology, engineering and management; academic institutions and disciplines; medical institutions and disciplines; cultural programs and projects; community-based tax-exempt organizations in the Berkshire County area; established religious institutions, programs and projects. The Founders intentions were to bring the greatest amount of good to the largest number of people in the Berkshires of Massachusetts in the most efficient manner as possible. We believe that you will find that we have made this process as easy as possible. We hope that you agree that we have met our goal. Please click the button below to start the grant application process. The committee reviews grant applications periodically throughout the year. Copyright © 2019 The Feigenbaum Foundation, Inc. All Rights Reserved.